While we await the arrival of his sure-to-be-great sitcom My Friend 50, supposedly bankrupt rapper 50 Cent has some more exciting news for us. Apparently, he's set to star in the next Predator movie. The next movie in the franchise is simply called The Predator, and it's being helmed by Shane Black. As Bloody Disgusting reports, Black is currently in talks with Arnold Schwarzenegger to reprise his role as Dutch. 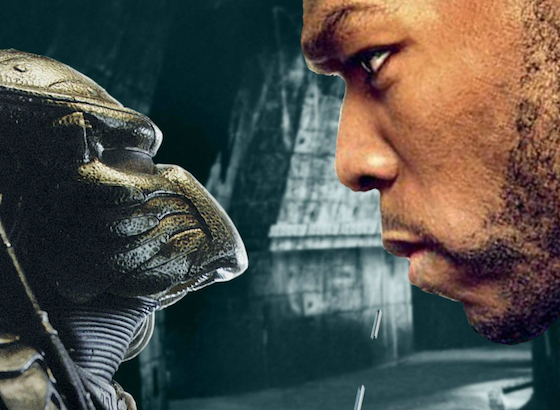 Meanwhile, Fiddy has been telling everyone that he's involved with The Predator. Speaking with Sirius XM's Shade 45, he said, "I'll be doing some new feature films and stuff like that too. I'll do Predator." In a separate interview with 99 Jamz Uncensored, he said, "I'm working on some new projects. You heard of the movie Predator? I might be a part of that project this summer." Stay tuned for more new on The Predator as it becomes available.